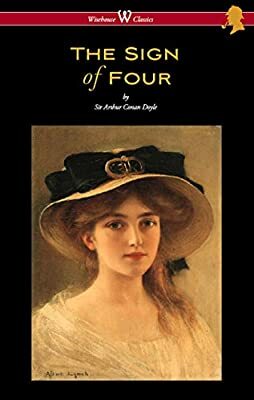 Description: THE SIGN OF FOUR is the second novel featuring Sherlock Holmes written by Sir Arthur Conan Doyle. Doyle wrote four novels and 56 stories starring the fictional detective. The story is set in 1888. The SIGN OF THE FOUR has a complex plot involving service in East India Company, India, the Indian Rebellion of 1857, a stolen treasure, and a secret pact among four convicts ("the Four" of the title) and two corrupt prison guards. It presents the detective's drug habit and humanizes him in a way that had not been done in the preceding novel, A STUDY IN SCARLET (1887).